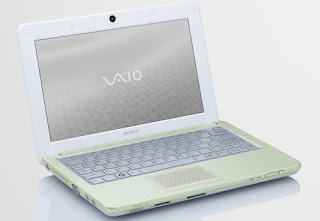 Okay, so I’m not really into netbooks, though gods know I need one, but this one by Sony is a pretty interesting piece of work. The eco-friendly Vaio has 1GB of RAM, a 250GB hard drive, and can keep going for seven hours fully charged (hah, loads better than the three I get on mine). But this 10-incher has more to offer than nice little specs, like impressive greenness. 23% of its plastic case comes from recycled CDs, while its carrying case is made from recycled PET bottles. Apart from all that, it doesn’t come with a manual booklet, but a digital one instead. The damage you can expect from buying this laptop: $480.